Combat Woven Wire Armory Cages are custom designed to match your space available with partitions, full sided cages and a variety of doors options ranging from hinged or sliding doors to secure your weapons. 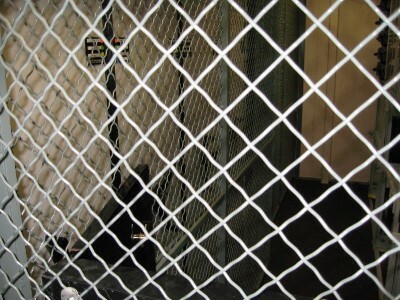 Security Cages are designed with military spec gauge woven wire in diamond pattern. 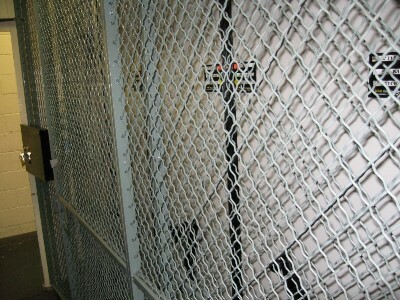 Armory design services include weapon rack layout and installation as well as woven wire security cages. Our cages have been installed to secure high density mobile shelving systems as pictured on this page or to create separate arms rooms for Company cages. 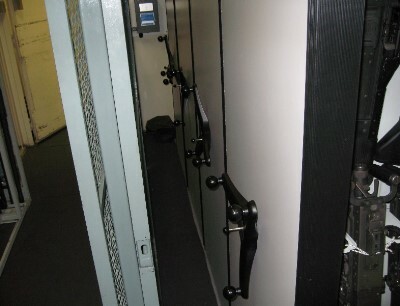 Combat Weapon Shelving installed on high density mobile carriages behind woven wire armory cage.